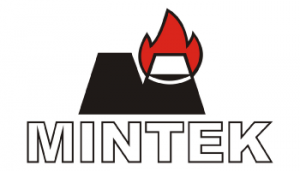 Mintek, South Africa’s national mineral research organisation, is one of the world’s leading technology organisations specialising in mineral processing, extractive metallurgy and related areas. Working closely with industry and other R&D institutions, Mintek provides service testwork, process development and optimisation, consulting and innovative products to clients world-wide. Mintek provides opportunities for students,both undergraduate and postgraduate, to finance their studies and work for one of South Africa's leading mineral and metallurgy companies. They provide undergraduate and postgraduate bursaries as well as vacational working opportunities. This programme is the nexus of Mintek’s skills development activities, and all the other activities either lead to or stem from the undergraduate bursary programme. The aim is primarily to ensure a steady supply of trained and highly skilled technical people to meet a major portion of Mintek’s operational, research, and development manpower intake needs, and also to provide appropriately-skilled graduates to the broader South African minerals and metallurgy sector, as per Mintek’s Mission Statement. The objectives of this programme are to identify South African students already at university and universities, as candidates suitable for supporting in their further studies, and to recruit and award further bursaries to these applicants. Bursars are obliged to undertake vacation work at Mintek at the end of their first, second, and third undergraduate years for a period of between 6-8 weeks. Vacation work affords Mintek the opportunity to impart to bursars the necessary knowledge, skills and experience that is needed to research, development and technology transfer to industry, and to evaluate them as potential employees. Bursaries are offered at both undergraduate and postgraduate levels, except for the fields of Nanoscience and Nanotechnology, and Physics, which are offered at post-graduate level only. For more information on bursaries and vacational work opportunities, visit Mintek.